A $34bn (€28bn) US lawsuit launched last year by Palestinian activists against dozens of companies including Ireland's CRH, has been dismissed by a Washington DC court. The activists had tried to sue about 40 defendants for alleged "profiteering" related to the construction of Jewish settlements in the West Bank. The companies sued ranged from Hewlett-Packard, Volvo and Motorola, to security firm G4S. Last year, and prior to the lawsuit being launched, CRH sold its 25pc stake in Israel's only cement firm, Mashav, ending a focus of huge controversy for the Irish company - Ireland's biggest. Mashav is the holding company for a firm called Nesher, whose cement has ultimately been used to make huge concrete slabs that were used to construct the wall dividing the West Bank from Israel. 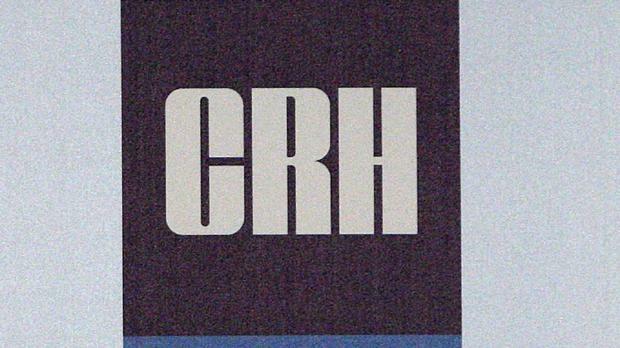 CRH had been previously targeted by pro-Palestinian activists at its AGMs, who pressed for the building materials firm to sell its stake in the Israeli business. In March last year, more than two dozen plaintiffs - mostly individuals but also some Palestinian village councils - filed the lawsuit in Washington DC. The lawsuit claimed that Israel's separation wall with Palestine, "numerous checkpoint concrete barriers, the concrete foundations in all West Bank settlements, and Israeli infrastructure in the West Bank were all built using cement purchased from Nesher". The plaintiffs alleged that Nesher knew the cement it produced would be used for "aggressive settlement expansion and thus ethnic cleansing of the local Palestinian population". In determining the estimated damages sought in the case, the plaintiffs argued through their lawyers that many of the defendant firms had "pillaged" Palestinian resources. "Since none of these defendants had received licensing agreements from the legitimate property owners to exploit the resources owned on that property and have no recorded deeds which formally transferred ownership to them, they have committed the war crime of pillage for approximately 30 years," lawyers claimed. The Washington DC court has dismissed the lawsuit, saying it lacked jurisdiction over the matters raised in it. Last month, Israeli Prime Minister Benjamin Netanyahu vowed that the West Bank settlements would never be evacuated. "We have returned here for eternity," Mr Netanyahu said. "There will be no more uprooting of settlements."